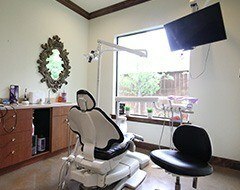 Here in Oklahoma City, our team is proud to regularly use the latest in advanced dental technology throughout every stage of patient treatment. This modern approach has several valuable benefits – not only are we able to make your care more precise and efficient, but overall comfort is greatly improved as well! Keep reading below to learn more about these state-of-the-art tools, or contact Joe Isaacson Dental today if you’d like to schedule your very own visit. 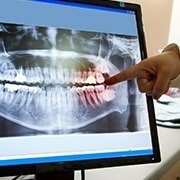 X-rays are an essential part of the dental care process because of their ability to help us view damage and infection underneath the tooth enamel. At Joe Isaacson Dental, we use digital radiography, which offers significant improvements when compared to traditional film. For instance, there are no more darkrooms – the high-resolution images are immediately made available for viewing after their capture, and our team members can even magnify and color-code them to aid patient understanding. Better yet, any radiation exposure is greatly reduced by up to 80%, which makes this diagnostic process very safe. 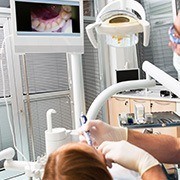 Intraoral cameras can be expertly maneuvered through the patient’s mouth, capturing highly detailed imaging of their teeth and gums that will be made available for viewing on a convenient chairside monitor. This technology offers two significant benefits – not only is our team able to more effectively diagnose damage that may not be immediately noticeable during a visual examination, but we can also enhance our patients’ understanding of their smiles and help them feel confident about further treatment. 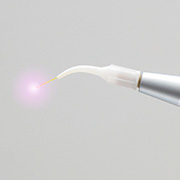 Dr. Isaacson regularly uses a soft tissue laser to perform procedures that involve the soft periodontal tissue, such as gum disease therapy or aesthetic gum recontouring. This advanced tool can gently treat and remove the tissue while providing instant disinfection, which helps to minimize post-operative symptoms like swelling and bleeding. The entire process is so comfortable that most of our patients feel genuinely at ease without the need for local anesthesia. The development of cavities is a gradual process, which is why it’s ideal for our dental team to catch and treat them as soon as they start to form. 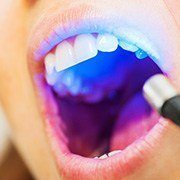 In order to accomplish this goal as effectively as possible, we use an advanced cavity detection system that can pinpoint even the smallest areas of weakened tooth enamel, including those in crevices and other hard-to-reach areas of the mouth that can’t even be accessed by the naked eye. As a result, our patients are able to successfully preserve more natural dental structure and any necessary restorative treatment is kept to a minimal level.